Over the last couple decades, a culture of casual and conversational written communication has emerged on the Internet through email, instant messaging and now social media. People share their feelings and thoughts openly with friends and sometimes the entire online community through these channels – and marketers have not missed a beat in finding ways to utilize this information. The development of sentiment analysis technology has allowed marketers to comb the Internet for the words being used in connection with their brand, company or product, thus helping them to better understand consumers. This technology has been effective, but not foolproof. You see, the folly of causal written communication is that it sometimes falls into the trap of ambiguity. Take for example a random phrase like, “I didn’t say he stole the money.” Repeat that line to yourself aloud. Now do it again, this time placing emphasis on the word “stole.” Now emphasize the word “money.” Notice that without the context of face-to-face interaction, the meaning of casual communication can be lost in transit. When it comes to written communication, sometimes we as human beings have trouble understanding one another. Given that, imagine a computer’s struggle to discern sentiment. Now, if making sense of written words were not difficult enough, imagine how this process would be impacted by universally incorporating images into casual written communication. Yes, emojis – the modern incarnation of the early 2000’s instant messenger trick once known as emoticons. For those of you who are late to the party, emojis are these things: 😉 😢 👍🏼 🍕 – text sized images used in messages and posts to convey emotions and ideas. And they are becoming more and more popular. In recent years, most cell phones have come standard with an entire library of emojis built into the keyboard. The latest iPhone software features 1,851 different emojis. The relatively recent rise of emojis in online communication makes it easy to believe that over ten billion emojis have been used on twitter in the last decade. Yes, emojis are popular. But how do they impact data analytics? What does this mean for marketers involved in sentiment analysis? Do emojis create clarity or confusion when trying to assess sentiment? The answer is, it does both. Prior to emojis shifting from the status of high school text gimmick to universally accepted text staple, sentiment analytics softwares were programed to disregard emojis. 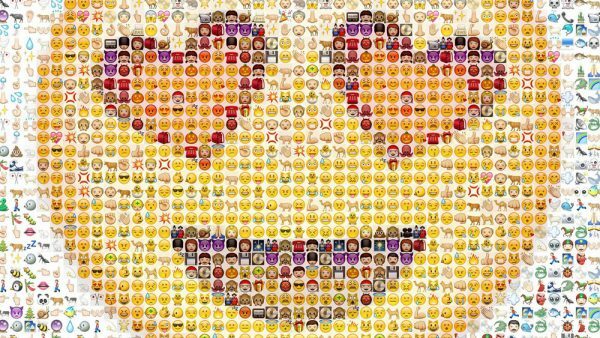 Many programs have since evolved to now incorporating emojis into the analysis process, creating a form of converged infrastructure for sentiment analysis. Now that we’re utilizing all of the text data available to us, we are able to gain a deeper and more detailed understanding of what customers are saying. Emoji-laden posts that may have at one time registered as neutral in analytics software may now be assigned an added dimension of meaning due to newly recognized pictorial punctuation. Think of a tweet that says, “The Cubs are actually going to win the World Series.” Consider the following list of emojis and how each one would individually alter the perceived sentiment of the statement: 😂 😱 😥 🤗 🤑 🙄 👌🏻 💔. How different is it to punctuate with a broken heart than a laughing face emoji? The tweet about the Cubs and the World Series demonstrates precisely the type of distinction that emoji-sensitive sentiment analytics can detect – thus adding to a company’s understanding of its customers and consequently adding overall value to the data. But even in its upgraded form, sentiment analysis is not without flaw. One of the pitfalls of sentiment analysis is its lack of consistency in accurately determining the real meaning of what is being said in a post. For example, the software might assess the sentiment of a post like, “Beyonce killed it last night” as being negative because the use of the word kill. Likewise, these analytics programs cannot detect sarcasm, which runs rampant on social media platforms. This can create misunderstanding for marketers assessing sentiment. The presence and prevalence of emojis creates an additional layer to this token problem of sentiment analysis. In this way, emojis complicate things by adding to the web of ambiguous emotional connotations in which our online text interaction is so often tangled. The last 2 decades tell us that the way we communicate is constantly evolving with technology. In order to understand what people are saying, it is important that marketers adjust the way they are listening to suit these changes — and that means taking emojis into account.